We are into the business of manufacturing, exporting and supplying precision engineered Adjustable Clevis Hanger. Designed in a variety of specifications, our Adjustable Clevis Hangers are fabricated using mild or stainless steel that is hot dip galvanized or electro galvanized. They are extensively used to achieve effective level installation of pipe lines. Also, the hangers find usage in firefighting and chilled water pipe work. 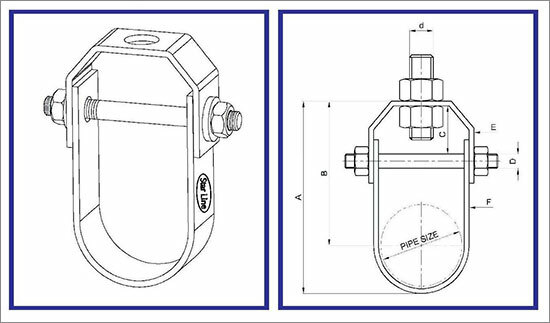 Suitable for sound suppression in pipe lines, our Adjustable Clevis Hangers are applied for independent suspension of large pipes and suspension of insulated or plain stationary piping. 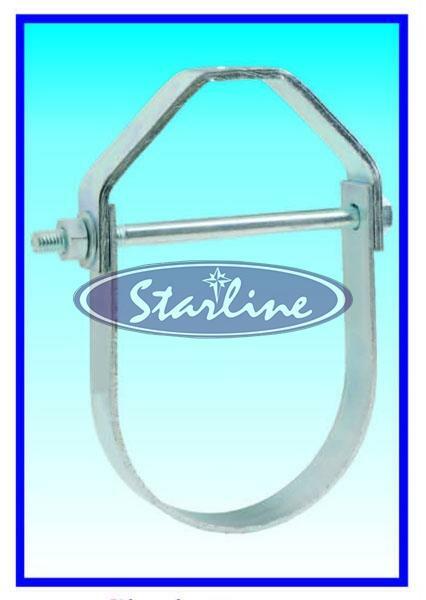 Further, our Adjustable Clevis Hanger is reasonably priced. Allows Vertical level adjustment of pipe lines after installation. Models CHS250 and above are fitted with steel spacer sleeve as standard. Optional EPDM lined hangers are available to minimize condensation, improve noise attenuation and prevent contact between dissimilar metals. Insulated Piping : effective OD or pipe size plus insulation thickness. EPDM lined : (Suffix "R"). Due to policy of continual improvement. The specifications are subject to change without prior notice. Measurements are subject to 5% tolerance.